Okay, I’m pretty sick of grimdark right now. And I’ve never found economics interesting. 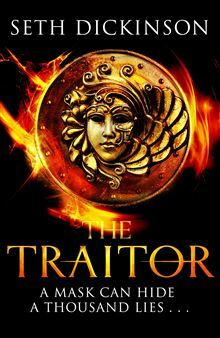 But Seth Dickinson managed to explode both of those qualms with his debut novel, The Traitor Baru Cormorant, a bleak and riveting tale of colonialism, social imperialism and accounting that is also one of the best fantasy novels of the year. The novel, based on a short story published in Beneath Ceaseless Skies in 2011, follows Baru Cormorant, a precocious seven-year-old growing up on the island of Taranoke. Her people have loose sexual mores and practice plural marriage, at least until the Empire of Masks arrives, conquering the island through fiat currency and moral indoctrination. As one of her fathers disappears, and a cousin is accused of “unhygienic” sexual habits (read – lesbianism), Baru learns to suppress her own unhygienic feelings towards her friend, the soldier Aminata. Baru vows revenge for her family and country. Excelling at school, she earns a prominent position as the Imperial Accountant for the great Northern Province of Ardwynn, from where she plots her revenge. The accountancy chapters were easily my favorite — Dickinson turns Baru’s fiduciary tricks and currency manipulation into a page turner, reminding me of a sort of combination of Tyrion Lannister and Maia from Katherine Addison’s The Goblin Emperor. The book gets seriously darker, however, as Baru gets swept up in a rebellion against the Empire. How far will she go for her revenge though? Dickinson’s ultimate question takes a Nietschean turn as Baru assumes leadership of the rebels. 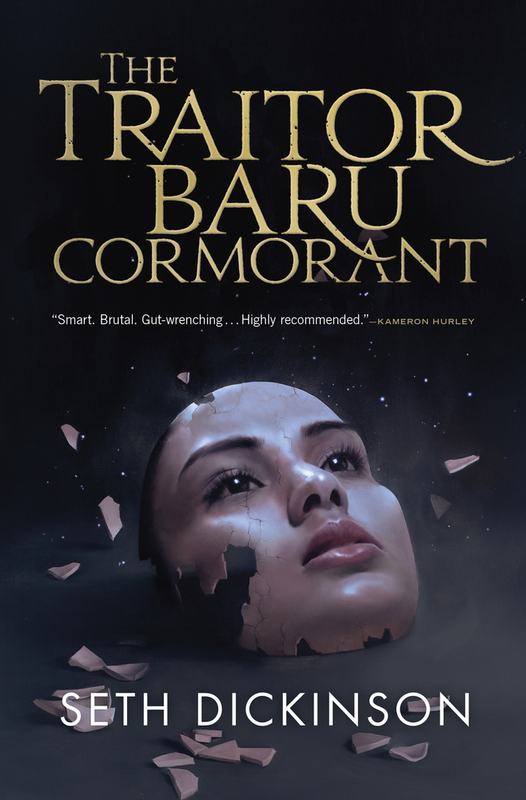 There are moments of brightness, through characters like Baru’s selfless lieutenant, Tain Hu, but the finale shows Baru becoming the sort of monster she battles. Or does it? How far is she willing to go for revenge, and will she be able to pull back from the abyss? We’ll find out in coming volumes. This entry was posted in Reviews, The Nameless Zine and tagged Accounting, Beneath Ceaseless Skies, debut, Grimdark, Seth Dickinson, The Nameless Zine, The Traitor Baru Cormorant. Bookmark the permalink. I enjoyed this – I had a moment midway where I flagged a little but then got straight back into it – the ending really is a perfect setting and, like you said, it’s going to be interesting to see how far Baru will go – and, for that matter if she’ll be able to stop herself from becoming a monster in the process. Tryion and Maia combo? Okay, that character sounds interesting. I actually just picked this novel up last week at one the Tor signing events. People seem to be giving this high praise, so I’m looking forward to reading it.